Does the Mormon Church Have a Paid Clergy? Does the Church have a paid clergy? Generally, organizations that operate through a paid-ministry model differ from that of the Church of Jesus Christ of Latter-day Saints (the Mormon Church) in several ways. In a paid-ministry model, a person often decides to obtain training (a degree) and then applies for a job as a minister. His or her salary generally depends on the congregation (if it is a large church it can be generous, and if it is a small rural church it can be very modest). The Mormon Church operates through a lay priesthood model with a few exceptions. Church officers call members to serve in a leadership position without compensation for a specific period of time and without any special training or degrees. These members continue their employment and serve in the Mormon Church while not working. These individuals accept callings and do so as part of their commitment to the Jesus Christ, knowing that at some point they will be released from their leadership role and that another local member will be called to take their position. One day a person can serve as a bishop (a leader in a local unit) and the next day be released and called to teach children. However, a small number of Mormon Church leaders who are called to full-time service receive a “living allowance.” They did not obtain any special training or degrees and did not apply for a position. 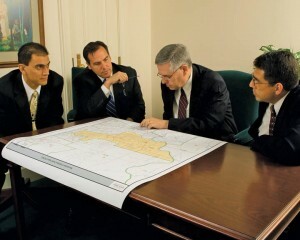 When called by Mormon Church officers they leave their full-time employment and generally move to a new location to fulfill their new assignment as directed by their leaders. Those called to full-time service include about 350 mission presidents, who serve for a three-year period and, about 100 General Authorities, who serve full-time from Mormon Church headquarters for various lengths of time. Of this last group, fifteen prophets, seers, and revelators serve until they die. Some General Authorities are independently well-off financially and do not need an allowance. The current practice of providing an allowance to a limited number of individuals for a specific period allows the Church to call people from a larger pool than those who are well-off financially. Once mission presidents and some General Authorities are released from their callings, they return to their employment or move wherever they choose. Upon their return, they are often called to serve as lay leaders in the local Mormon Church organization. Money for living allowances comes from the income produced by businesses in which the Mormon Church has an ownership interest. To this point, at least, tithing has not been used for this purpose. The amount of mission presidents’ stipends depends on needs and circumstances (missions in New York City and London are more expensive than other places). Interestingly, all General Authorities receive the same allowance: the President of the Mormon Church receives the same as a member of the First Quorum of the Seventy. That said, there is a little extra for the few who have dependent children (x dollars per child). The living allowance is intended to permit a comfortable but modest lifestyle. The Church’s living-allowance model is based on various scriptural references to “the laborer being worthy of his hire,” a principle that applies both to spiritual and temporal matters (see Doctrine and Covenants 24:3, 7,9; 41:7; and 42:70-73). And devote his whole time to this high and holy calling, which I now give unto him, seeking diligently the kingdom of heaven and its righteousness, and all things necessary shall be added thereunto; for the laborer is worthy of his hire. And the priests were not to depend upon the people for their support; but for their labor they were to receive the grace of God, that they might wax strong in the Spirit, having the knowledge of God, that they might teach with power and authority from God.